Little, Brown Books for Young Readers, 9780316277297, 40pp. When Rory meets his friend Sheldon's pet crab, he realizes he wants a pet of his own. He searches high and low--from tree tops to sand pits--for a creature to love. It's at the end of a long day, when Rory least expects it, that he meets George. 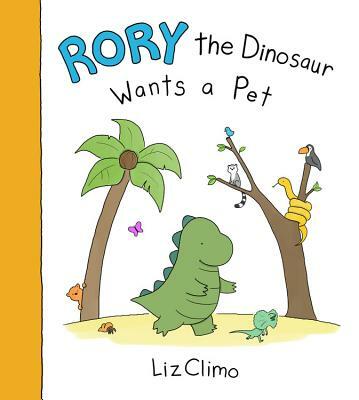 Comic artist Liz Climo celebrates the bond between child and pet with her adorable, deceptively simple illustrations and her timeless story of a child's quest for companionship.